There are many reasons for a patient to get a restoration; from the obvious cosmetic upgrade to health enhancing benefits. Whatever the case may be, one thing is for certain, you quality of life will increase considerably with a good dental restoration. 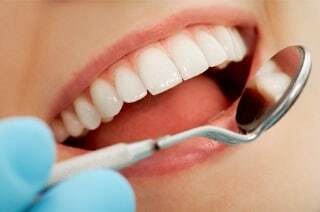 Every dental restoration is unique; some people just need a few fillings, others can get by with veneers, while in extreme cases, we might have to use bridges, implants, or full mouth solutions, such as the All-on-4 or All-on-6. But what’s the best treatment for you? That’s the first thing you need to figure out; get yourself a dentist appointment to get a thorough examination; that means an oral exam, and probably some x-rays to check what’s happening inside those gums. After reviewing your case, the dentist will lay down your options; there is always more than one way to restore your smile, just keep in mind that each plan carries its own set of benefits and disadvantages. Not every treatment plan’s disadvantage is health related; you have to keep in mind costs, time, effort, and logistical issues. For example, not every doctor has the skills or knowledge to conduct every procedure, so, you might need the help of more than one dentist; can your dentist refer you to one? Is that doctor close-by? All these are question that you need to answer before you commit to your treatment. Other issues to keep in mind are: how long is your treatment going to last and what are the potential changes in your routine. While we always strive for a fast solution; some treatments take longer than others and some are more demanding in terms of aftercare and hygiene. Consider your situation in the near future before committing to a plan that could take years, and discuss with your dentist possible solutions if you feel like a potential change in your life could get in the way of the treatment. The best restorations are the ones where patients and doctors work together and have a strong communication; many doctors nowadays keep in touch with their patients through social media or instant messaging. While that may or may not be your case, the lesson here is that you need to keep the channel open, let your dentist know about changes that may have an impact on your treatment; if you need to reschedule, do it at least a couple of days before the appointment. In summary, you and the dentist are allies in this process.